WHAT TYPE OF AIR CONDITIONING FILTER SHOULD YOU HAVE FOR YOUR HOME? Every Floridian knows the value of a working air conditioning unit in their home or business, especially during those hot summer days in Florida. As the temperature starts to rise in Tallahassee, it’s important for residents and businesses in Tallahassee to make sure their air conditioning systems are ready for the sweltering heat. Nothing is worse than your air conditioning breaking down in the middle of a Florida summer. Going without air conditioning in Tallahassee during the summer is a ‘worst-case scenario,’ but something almost as equally terrible is having an air conditioning unit that isn’t working properly. If you live in Tallahassee and your air conditioning unit is not regularly checked and not working to its full capacity, you can end up not only spending more money on your utility bill but it can also pose risks to your health each month. Regular air inspections can keep your family healthy and ensure air regulation that will keep your monthly utility costs down. Most people do not realize that getting regular air filtration inspections are important to maintaining the functionality and efficiency of the air conditioning unit in your home or business. Checking the air flow and assessing your needs based on your business or residence is critical to ensuring the long-term efficiency and functionality of your air conditioning unit. It’s also important to make sure you’re getting your air filters checked and or changing them regularly. Clean air filters will also ensure you keep your summer utility bills down throughout the summer. It also will help prolong the life of your air conditioning unit. Making sure to change air filters every few months is significantly less costly than having to replace an entire air conditioning unit. Fiberglass filter. 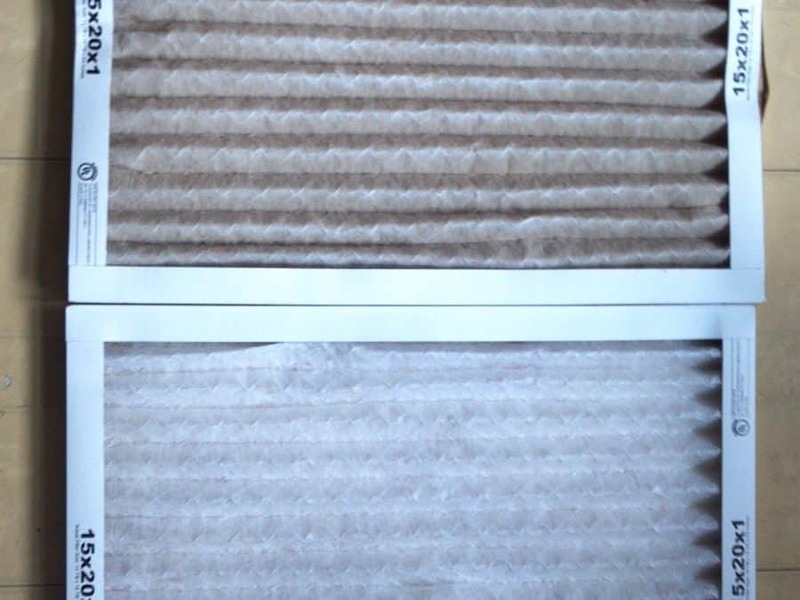 This disposable air filter is the most common type. Layered fiberglass fibers are laid over each other to form the filter media and typically are reinforced with a metal grating that supports the fiberglass to prevent failure and collapse. Polyester and pleated filters. These filters are similar to fiberglass filters but typically have a higher resistance to airflow and a superior dust-stopping ability. High efficiency particulate arrestance (HEPA) filters. These units filter the air passing through them at a very fine scale. The U.S. Department of Energy (DOE) and its contractors use HEPA filters that meet DOE standard, and specifications for HEPA Filters Used by DOE Contractors, to filter 99.97 percent of all particles 0.3 microns or larger. Washable air filters. These products are not as common and rely on the build-up of dust along the cloth to improve the efficiency of the filter. Industrial processes involving high volumes of coarse dust are typical applications. At Benson’s we know how important it is to our residents that they stay cool and healthy during these hot summer months. Following some of these standards and getting your air quality and air conditioning unit regularly serviced will ensure you stay cool and breathe easy all summer long!